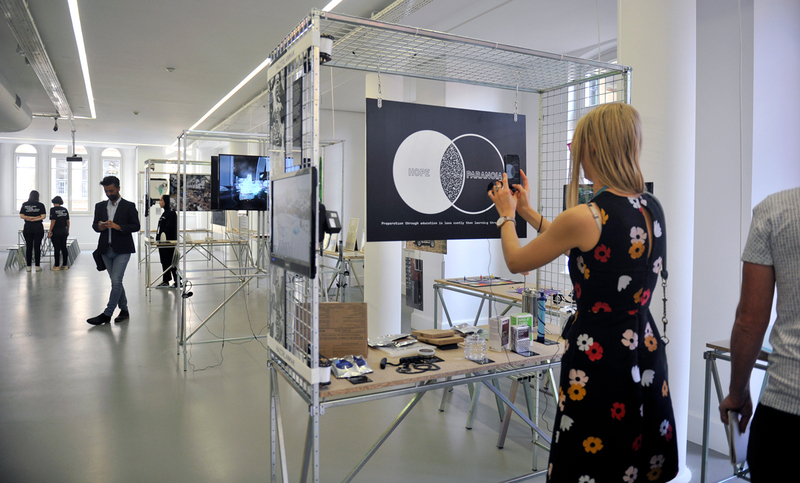 A School of Schools, the 4th Istanbul Design Biennial, is opening its doors to the public this week. Curated by Jan Boelen with associate curators Nadine Botha and Vera Sacchetti, the biennial is spread out to six different venues in the Beyoglu district of Istanbul. Each venue houses a different “school” and brings together a number of works that explore a specific theme: Unmaking School, Currents School, Earth School, Scales School, Time School, and Digestion School. Walking from one venue to the next, one engages with one of the busiest parts of the city, and this experience of moving between urban space and “schools” is critical to the biennial’s theme of rethinking education through design and design through education. The distinct spaces at the heart of the city constitute an “educational web” where visitors can think and experience the relationship between design and learning through encounters with projects. The works presented at the biennial display a variety of scales, techniques, media, processes, and temporalities that highlight several aspects of design as a project. With the strong curatorial text that underlies and organizes them, the biennial makes a convincing argument that education is the urgency of design, and that design is critical in learning and unlearning how we live and make things, how we communicate and build communities, how we create environments and respond to changes. The biennial will be up through November 4, 2018.